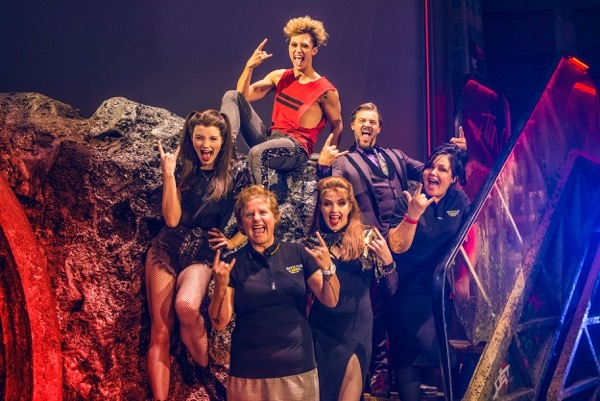 In April 2018, hit West End show, Bat Out Of Hell – The Musical, announced a wide-ranging global partnership with the Invictus Games Foundation, the governing body of the Invictus Games. The producers are now delighted to be able to announce a special Gala Performance of the musical in support of the Invictus Games Foundation on Thursday 6 December 2018. The Invictus Games Foundation is the governing body of the Invictus Games, a global sporting event for wounded, injured and sick servicemen and women, both serving and veterans. The next Invictus Games will be held in Sydney, Australia 20-27 October, with 500 competitors from 18 nations contesting medals in 11 different sports, with events being held across Greater Sydney, including Sydney Olympic Park and on and around the iconic Sydney Harbour. Bat Out Of Hell fans can now donate directly to the Invictus Games Foundation when buying their ticket on www.batoutofhelmusical.com and the show is also donating a percentage of all top price tickets sold. In April, an initial financial contribution was generously given by the musical to the Invictus Games Foundation. Hundreds of tickets are being made available for veterans from military charity partners of the Invictus Games Foundation and their families to experience the hit show. To support those who live outside of London, the show’s producers have also made funds available that will assist with travel costs for those outside of the Capital. The partnership also goes beyond funding, as there will be private tours, family theatre workshops, and the producers will be running a special employment programme to help assist wounded, injured or sick serving or ex-service personnel interested in a career in the theatre. The winner of the Evening Standard Radio 2 Audience Award for Best Musical 2017, Jim Steinman’s Bat Out Of Hell – The Musical wowed critics and public alike when it played limited seasons at Manchester Opera House, London Coliseum and Toronto’s Ed Mirvish Theatre in 2017, and has been seen by over 650,000 people to date. It began previews at London’s Dominion Theatre on Monday 2 April and is now booking through to 5 January 2019. Last month, a North American Tour was announced, opening in Toronto in October 2018, and the German language premiere will be held at the Stage Metronom Theatre, Oberhasuen, Germany in November 2018. Bat Out Of Hell became one of the best-selling albums in history, selling over 50 million copies worldwide. 16 years later, Steinman scored again with Bat Out Of Hell II: Back Into Hell, which contained the massive hit I Would Do Anything For Love (But I Won’t Do That). For the stage musical, the legendary and award-winning Jim Steinman has incorporated iconic songs from the Bat Out Of Hell albums, including You Took The Words Right Out Of My Mouth, Bat Out Of Hell, I Would Do Anything For Love (But I Won’t Do That) and Two Out Of Three Ain’t Bad, as well as two previously unreleased songs, What Part of My Body Hurts the Most and Not Allowed to Love. Bat Out Of Hell – The Musical has book, music and lyrics by Jim Steinman, direction by Jay Scheib, choreography by Emma Portner, with musical supervision and additional arrangements by Michael Reed, set design by Jon Bausor, costume design by Jon Bausor and Meentje Nielsen, video design by Finn Ross, lighting design by Patrick Woodroffe, sound design by Gareth Owen, orchestration by Steve Sidwell, casting by David Grindrod CDG, fight direction by Stuart Boother and musical direction by Robert Emery.